The holidays are upon us, and with them our parental duty of buying the gifts our young ones requested from Santa. While we’re on the subject, did you know that many parents won’t think twice about getting turtles and other exotic pets as holiday gifts for their kids? Well, here’s a fact: This seemingly harmless practice can actually endanger an entire species! According to Susan Tellem, co-founder of American Tortoise Rescue (ATR), the pet industry prospers even more during the holiday season, sincemany families are happy to adopt a “different” little critter as their new pet, regardless of inflated price tags. “Our recommendation is to avoid impulse buys like these. We understand the appeal of getting a two-inch baby turtle as a gift, but there are other varieties of equally beautiful turtles which may be more fitting for adoption”, adds Tellem. Adding to the problem is the fact that commerce related to exotic animals and the live-food trade has had significant impact on the Testudine population: Dozens of species of turtles, tortoises and terrapins have become endangered or, even worse, altogether extinct. Tellem notes that since 1974, our country has prohibited buying or selling turtles measuring less than four inches in length. Worryingly, they’re still being sold despite the ban. Little kids are bored by turtles. Unlike cats or dogs, these little animals will hardly win the hearts of their pint-sized owners merely by staying still during most of the day, or laying under the sun. Children may also grow weary of tasks like cleaning their tanks, changing their water or removing their droppings. ALL pets are a big responsibility! They’re currently hibernating. This ties in with my previous point: It’s unnatural for pet turtles to be all giddy and playful during these months, since they usually rest from October to April. Buying or selling them for the holidays and expecting them to be active is downright cruel. Remember: Hibernation is a crucial part of their healthy life cycle. Enclosed water tanks make them miserable. “It would be like a human being who spends their entire lifetime inside a bathtub”, explains Tellem. The only proper habitat for a turtle is outside, where sunlight is readily available – exposure to the sun is needed to harden their shells and help them develop adequately. Adoption is the way to go. Springtime is the best season to adopt these little reptiles, once they’ve awoken from their slumber. You’ll rarely incur fees or charges, since finding them a loving home with a proper habitat is the top priority. They’re life-long companions. You wouldn’t adopt or buy a dog, cat or bird only to get rid of your precious pet a couple of years down the road, right? Well, turtles can easily live from to 25 to 50 years, with some species even living as long as 100 years or more. Getting one on a whim without considering its potential lifespan would be truly irresponsible. Zoos don’t take in domesticated animals, you know? 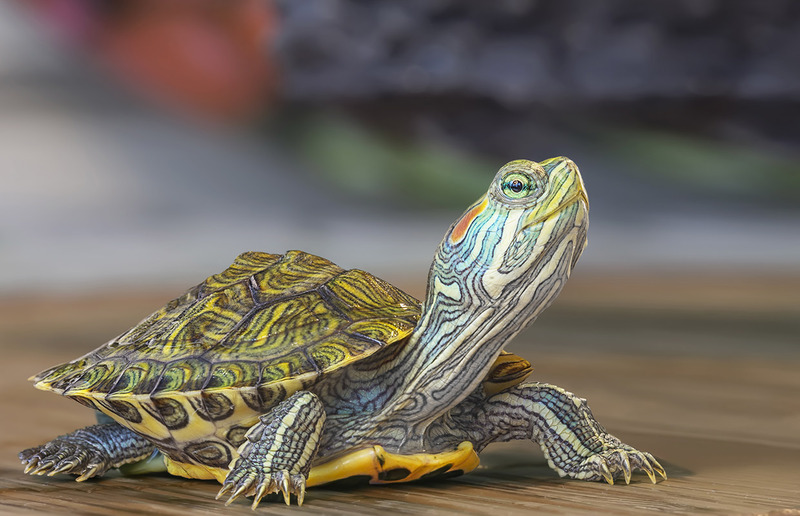 Plan your turtle’s future accordingly –going as far as including specific provisions for them in your will– in order to ensure that it will live on happily, surrounded by loving people who’ll always care for its needs.